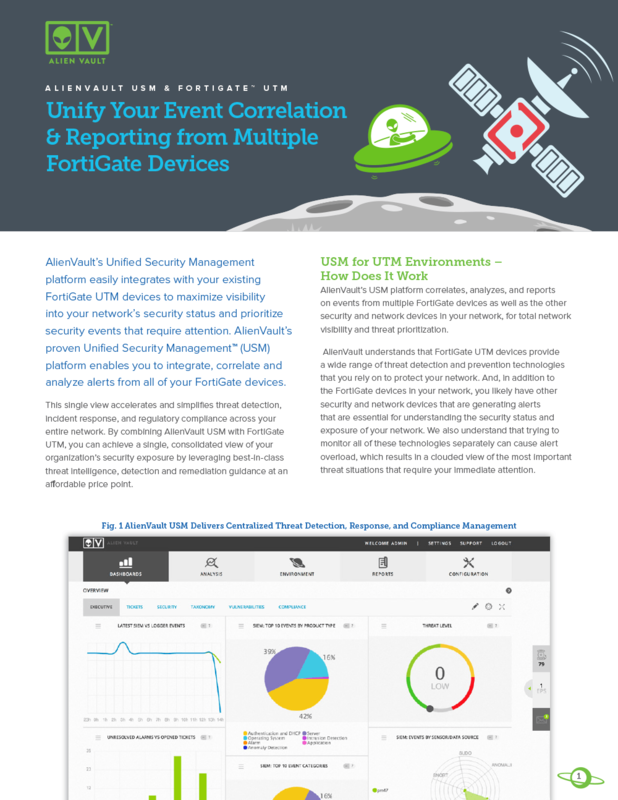 You rely on FortiGate UTM devices to protect your network, but what about consolidating and analyzing critical security events from those devices as well as others. AlienVault’s Unified Security Management platform enables you to integrate and correlate alerts from any device to accelerate and simplify threat detection, response and regulatory compliance across your entire network. By combining AlienVault USM with the FortiGate UTM product, you can achieve best-in-class threat intelligence, detection and remediation guidance.